UPDATE 4PM: POWER has been restored to most customers affected by this morning's power outage caused by an electrical fire just metres from a beachfront property. A fire at an electrical kiosk close to a home on Beach View Dr, Sapphire Beach, cut power to more than 1400 customers just after 10am. Firefighters brought the fire under control and prevented any damage to the house which is about two metres from the power kiosk. 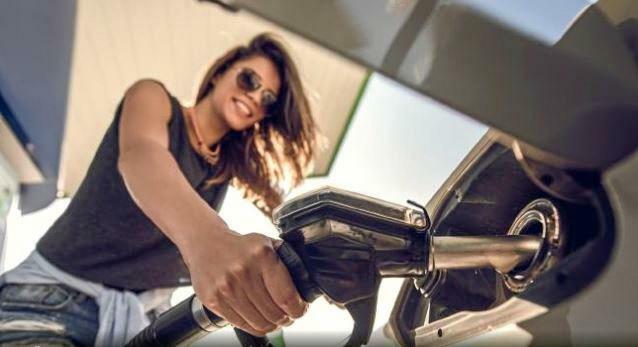 An Essential Energy spokeswoman said power had been restored to most customers. The spokeswoman said those still without electricity should be back up soon as a generator is being brought up from Port Macquarie, which will be used until technicians are able to restore power. She said it was hoped power would be restored by 5.30pm for the remaining 60 affected customers. 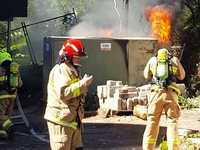 Transformer fire at Sapphire Beach: Fire crews are on the scene of a transformer fire at Sapphire Beach this morning. 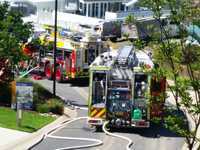 ORIGINAL 10.36AM: COFFS Harbour NSW Fire and Rescue crews were quick to the scene to extinguish a fire nearby houses. Station Officer Simon Busby said crews had extinguished an electrical fire which had sparked up in a "above ground (electrical) kiosk". 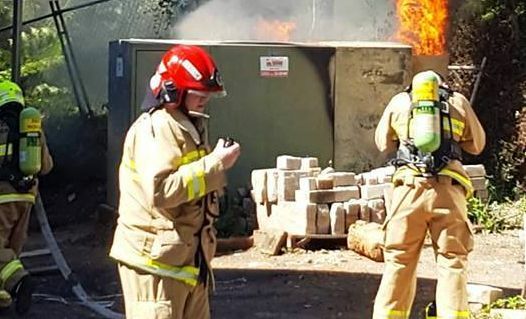 It is understood the fire near the old Pelican Beach Resort was the cause of the power outage affecting northern Coffs Harbour and Sapphire Beach. Mr Busby said crews remained at the scene to contain any oil spilling from the kiosk. "They make a lot of smoke and generate a lot of heat," Mr Busby said. He said nearby properties were protected.